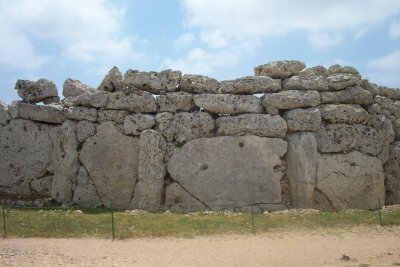 The Megalithic Temples of Malta are known as 'the oldest free-standing monuments in the world'. They date from ca. 3000 B.C. This WHS was extended in 1992 to include 5 temples on the Malta main island, next to the 2 Gigantija temples on Gozo island. They are Hagar Qin, Mnajdra, Tarxien, Ta'Hagrat and Skorba. I visited them the wrong way around, I now notice: the "youngest" temple first. This one is at Tarxien, in the town of Paola (close to the Hypogeum). It looks like you're in someone's backyard, but there are really fine features here. For example the animal reliefs. On the other side of the island are the temples of Hagar Qim and Mnjadra. The Mnjadra temples have the most beautiful setting, near the sea and the islet Fifla. 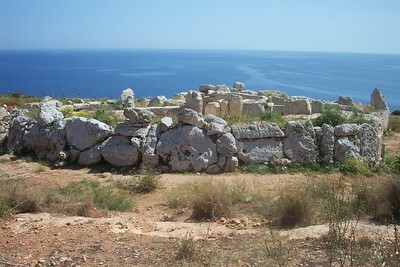 After that, I went to Gozo island to visit the Gigantija temples. Less refined, more bulky than the others they are. A visit to the archeological museum in Valetta to see the more delicate findings finished it all. 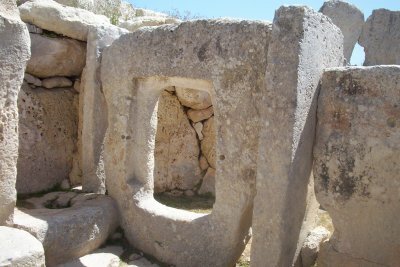 I visited 4 of the 6 Megalithic Temples in January 2015: Tarxien, Ta’ Ħaġrat, Skorba and Ġgantija. Tarxien is located near the Ħal Saflieni Hypogeum (which was maddeningly fully-booked when I was in Malta), a 40 minute walk from Valletta. We passed through some quite untouristy areas and saw groups of African migrants (presumably 'boat people') looking for work. Malta is one of those countries shouldering more than its fair share, so I would imagine work is scarce for them. Ta’ Ħaġrat and Skorba are near one another but far enough from Valletta that we needed a hire car. They are very low-key but you're likely to the only ones visiting, which is a plus! Ġgantija is on Gozo and is the grandest of those I saw. Getting there required a roll-on roll-off ferry ride, but was worth it because the island is a treasure trove of photogenic churches and coastlines (we also visited the Azure Window). I have visited this group of WHS several times. My favourite has to be Ggantija Temples in Gozo because of their unique shape. The Hagar Qim Temples in Malta were also my personal favourite because of its alignment with the sun. However, in recent years, a controversial tent-like structure has been built to protect the megalithic temple from sea erosion, rain and direct sunlight. IMO this is too much of an eyesore compared to how the temple looked without this modern monster. Apart from this, the sun played an important role in the construction of these temples that are older than the Pyramid of Giza or Stonehenge! I'm from Malta and am 51 years old now. I mention this because in my childhood, my family visited many historical places which were not yet "institutionaliased". We frequently had picnics at some of these sites. We explored these places and knew every nook and cranny of these temples. I've played hide and seek in these temples. Great fun! At that time they were simply open to the public. While I think it is laudable for many of these historical sites to now be recognized as part of our heritage, and to be preserved, and while I am glad there are funds allotted to conservation, I think there has been a lot lost along the way. Nowadays when I take visitors to see these sites, I have to explain that "round that corner they can't see", unless they are giraffes with EXTREMELY long necks, there's a really interesting feature, etc etc. Many museums are making features more accessible to visitors. Unfortunately, I can now only walk a very limited walkway in the centre of the temple structures. Why can't I come up closer? Move around the structures more freely? Would I be vandalizing them by doing so? Such a pity that in the interests of preservation, visitors can't explore more. Can't come up close. Can't feel the excitement of walking through the temples from room to room. It 's a see but don't touch feeling. What a shame! There's no engagement. Spread across Malta and Gozo, these temples are over 5,000 years old - meaning they are older than the Pyramids and older than any other manmade, free-standing structure on Earth. They are among Malta's biggest tourist attractions, and are certainly an impressive sight. Most people visit the temples at Tarxien in a Valletta suburb and the famous Ggantija temples on the island of Gozo. I went there as well, but I found the complex of Hagar Qim and Mnajdra to be the most impressive, especially because of their scenic location on the southern coast. Mnajdra especially has a beautiful setting, even though both temples are now covered by a tent-like structure to protect them against the elements. The inscribed site also includes Ta Skorba and Ta Hagrat, but these seem to be little visited and not as impressive as the others. “Megaliths” are defined as “large mostly undressed stones arranged by man for a religious purpose …(during the period) from the 5th to the 2nd millennium BC (approx Neolithic to Early Bronze)”. The UNESCO list contains a number of such sites from among the many thousands in Europe (I wonder if Els’s “themes” shouldn’t separate them out from within the general archaeological list?). Those on Malta are “up with” the best and should not be missed by anyone visiting the islands. OK they might not equal Stonehenge for grandeur and mystery (though that site unfortunately is impossible now to see under ideal conditions) but you will I am sure be amazed at the technical achievements of these long passed peoples and left wondering about the beliefs which drove the constructions. The wonderful “fat ladies” (photo) also add a human touch. Ideally you will need a car and merely searching out the sites can provide a useful framework for a tour of Malta. You should cross to Gozo to see the original 2 temples at Gijantija as well as at least a couple of the other 5 (Hagar Qim and Mnajdra in the south of the island are perhaps the best?). These seven temples are distributed across Malta and its sister island of Gozo. They consist of some of the oldest freestanding buildings in the world, providing an insight into some of the earliest forms of human worship. As such there is no doubt about the legitimacy of this inscription. The first group of temples we visited were those at Tarxien, in the suburbs of Valletta and only a few minutes walk from the Hypogeum. These temples were built in the latest phase of temple building on Malta and contain some more advanced features, such as carvings of animals and the statues of ‘Fat Ladies’ in Paul Tanners picture below. 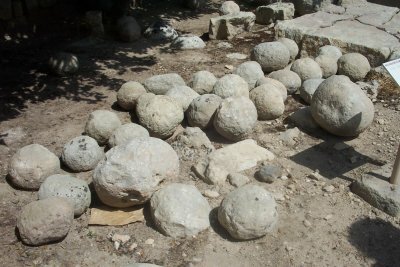 I have to say that I was very under whelmed by this site, to the uninitiated it looks little more than a pile of large boulders in a patch of wasteland left over in the middle of town. However the staff were friendly and informative and they had great plans for a new visitors centre so hopefully things will be looking up for this site. 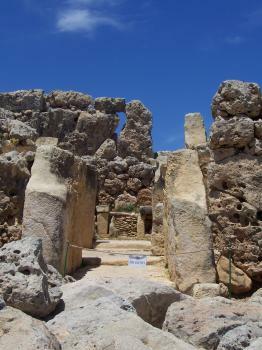 The other site we visited was the Ġgantija temple on the neighbouring island of Gozo. These were much more impressive and larger than the other temples, they also claim to be the oldest free standing structures in the world, though the temples at Ta'Hagrat and Skorba are probably older. I enjoyed this visit much more as the temples were in a much nicer location overlooking Gozo and back to Malta, the structures were also much larger. As a quick note if you plan to visit on Sunday there are only three busses to the temples, a return taxi fare should be around 7-8 Lm (€18). The Citadel at Victoria is worth a quick look around if you are in this part of the country. These sites are worthy of their place on the list, however I was a little disappointed by my first experience, so a visit to a few of the temple would provide a more representative idea of their worth, and also a nice way of seeing more of the country. 3.5: Solivagant Ivan Rucek Nan Gary Arndt Randi Thomsen Svein Heltberg Wojciech Fedoruk Tevity Caspar Dechmann Philipp Peterer Peter A. Protective Shelters: Hagar Qim and Mnajdra Temples are protected by big tents to prevent erosion. 266 Community Members have visited.